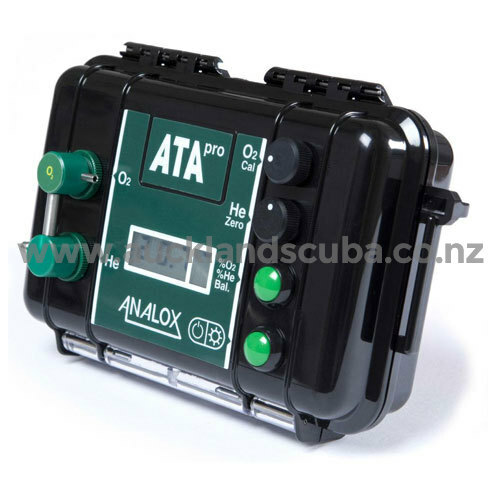 The ATA pro (advanced trimix analyser) is a compact, lightweight, portable monitor designed to provide fast accurate analysis of Oxygen and helium concentrations in a gas mix. Readings are shown on a scroll through display, which can be backlit if used in poor light conditions. Oxygen is measured in the range 0-100% using an Analox 9212 electrochemical sensor, which offers an expected life of 4-5 years and is provided with a 3 year graded warranty. Helium is measured in the range 0-100% using an Analox thermal conductivity sensor, which is compensated for the effect of oxygen. This is a non consumable sensor and so should not require periodic replacement, a zero adjustment knob is provided to enable zero adjustment of the helium sensor, as the sensor ages. Calibration is recommended prior to use and can be carried out easily and quickly using the Helium Zero Adjustment knob, the O2 Calibration knob, and Analox temperature compensation chart. This ensures an accurate calibration prior to sampling. 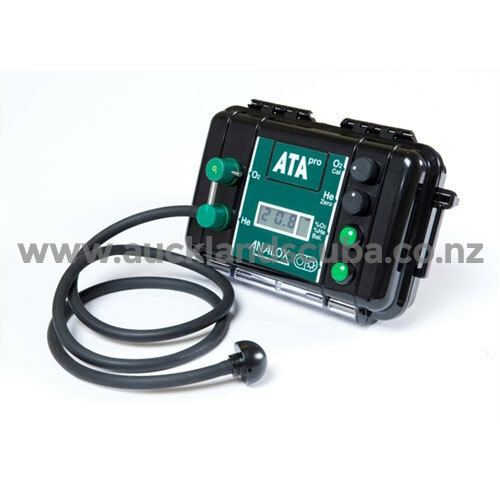 The ATA pro is provided with a AA size battery which offers over 200 hours of use, alternatively the ATA Pro can be provided with a mains power option.